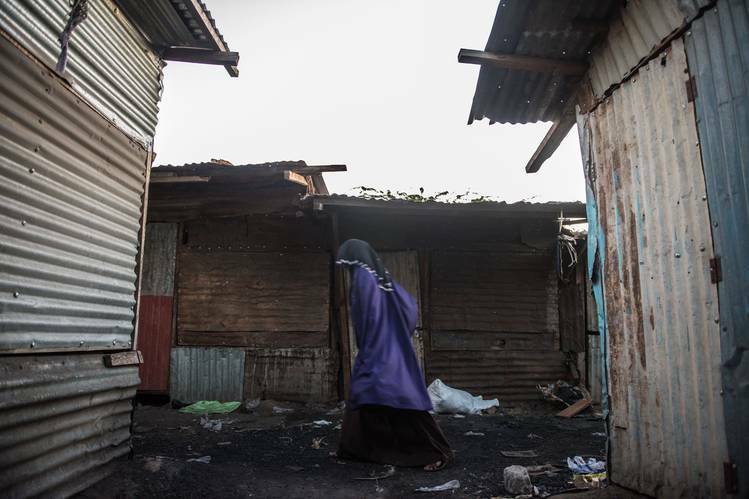 NAIROBI, Kenya—Islamic State’s push to co-opt one of Africa’s deadliest jihadist movements has come with an attempt to present a softer face to potential recruits. Over the past year, the jihadist group also known as ISIS and Daesh has launched a broad recruitment campaign across Somalia to pry foot soldiers and senior operatives from al-Shabaab, a two-decade-old insurgency allied with al Qaeda that has made it very clear they have no desire to switch franchises. Stung by battlefield losses to larger al-Shabaab forces, Islamic State has offered promises of an easier life: lower taxes, more tolerance for substance abuse and fewer political diatribes. The inroads have been small, but there is evidence the approach is winning ideological converts, luring a few hundred al-Shabaab defectors including influential imams and allowing Islamic State to establish bands of followers in the northeastern tip of the country. In March, Islamic State launched its first attack on Somali soil—a bombing of an African Union vehicle in Mogadishu—and released a video purportedly showing its first Somali training camp. Residents from al-Shabaab strongholds in the south say Islamic State is building support by promising reduced taxes on land and livestock sales and pledging to fight a purer holy war, rather than one that is focused on political power in Somalia. Kenyan counterterror officials say they are closely monitoring clashes between the jihadist factions. On Tuesday, al-Shabaab gunmen from Somalia killed 12 people in an attack on non-Muslims at a guest house in Kenya’s northern Mandera County, a local official said. To be sure, Islamic State fighters in Somalia are still pledging deadly attacks and a violent overthrow of those who oppose them. But positioning itself as a more pragmatic and uncorrupt alternative to al-Shabaab represents a germinating threat that could be more dangerous to the homegrown insurgency than African Union troops or U.S. drone strikes. “They have clearly got the attention of al-Shabaab’s rank and file. Their propaganda is more successful than al Qaeda’s,” said Matt Bryden, the head of Sahan Research, a Kenya-based think tank. The tactical shift born in Somalia appears to be spreading across the Sahara and into Nigeria, where the group has tried to divide jihadist insurgency Boko Haram by sponsoring a faction opposed to longtime leader Abubakr Shekau that claims to be more pragmatic. It is a push that could mean Islamic State has gained more support on the continent than is obvious from its military victories, compounding the complexity of the jihadist challenge for African governments and their Western allies. Though information about intra-jihadist fighting in Somalia is patchy at best, residents said al-Shabaab has gotten the best of the early clashes and has reacted brutally to quell the swelling Islamic State threat. Dozens of militants accused of pro-Islamic State sympathies have been executed or imprisoned, and al-Shabaab propaganda has promised death to anyone who defects. Those who have successfully defected have struggled to persuade fighters to join them en masse. 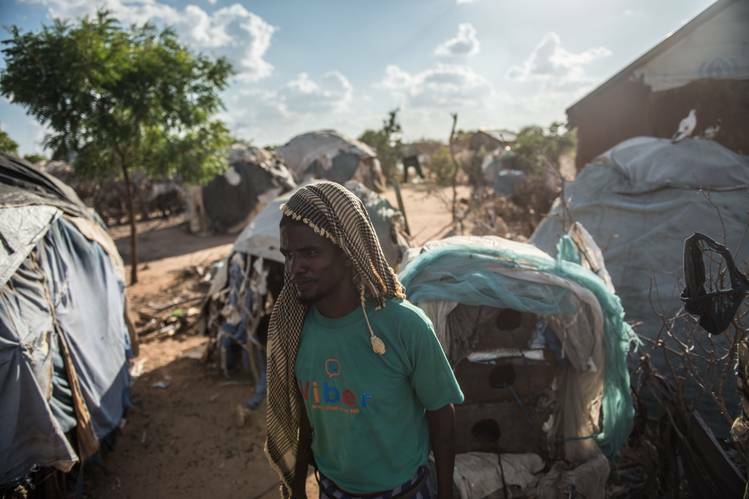 But testimony from Somali refugees who fled across Kenya’s border to the sprawling Dadaab refugee camp also suggests Islamic State’s tactical shift is bearing fruit. 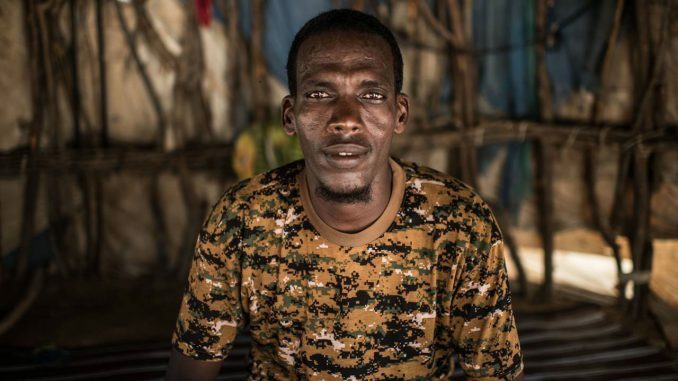 Maalin Hassan, a herder who fled to the camp in March, said Islamic State officials dramatically lowered taxes and softened some of al-Shabaab’s punishments for minor offenses that included chopping off limbs. They also promised to allow the chewing of khat, a mild narcotic popular in Somalia that al-Shabaab bans its fighters from using. Perhaps more important, imams in al-Shabaab-controlled areas are starting to listen to Islamic State’s message. “Morally, many of the religious leaders now support ISIS,” said Abdi Yussuf Dire, a Somali from the Jubaland region living in Kenya who says he is in regular contact with people in al-Shabaab-administered areas. The group’s pursuit of a global Islamic agenda was more attractive than the nationalist aims of al-Shabaab to overthrow the Somali government, Mr. Dire said. In the January edition of Islamic State’s monthly magazine Dabiq, Somali jihadist Abu Maharib As-Sumali boasted of the swelling number of al-Shabaab divisions in northern and southern Somalia swearing allegiance to Islamic State leader Abu Bakr al-Baghdadi. “There is a phase of coordination and cooperation currently being undertaken in order to achieve a synchronized media effort, tactical maneuvering of forces, and securing of logistics to achieve strategic aims,” Mr. As-Sumali said, in comments that were angrily rejected by al-Shabaab. Islamic State’s effort to penetrate Somalia started with the outsiders—foreign fighters or Somalis from clans who feel disenfranchised within al-Shabaab’s complex tribal-influenced power structures. The group’s first major success was luring Abdiqadir Mumin, a senior al-Shabaab cleric who lived in the U.K. and preached at London mosques and is now based in the semiautonomous northern region of Puntland close to the Gulf of Aden. Mr. Mumin declared his allegiance to Islamic State late last year and then reportedly fled to areas controlled by his clan with a few dozen fighters. Mohamed Kuno—a Kenyan fighter considered the mastermind of al-Shabaab’s 2015 massacre of 148 university students in the border town of Garissa—was also alleged to have joined Islamic State before he was killed by U.S.-backed Somali forces in June. The key to whether the movement grows, Mr. Bryden said, is whether it gains appeal to Somalis at the center of the insurgency. “There can be an appeal to foreign fighters, but foreign fighters can’t operate alone in Somalia. They must be embedded with a Somali,” he said. Bolstering Islamic State’s attractiveness: Life in al-Shabaab-dominated parts of the country has become increasingly bloody as its leadership hunts defectors and launches increasingly spectacular assaults. In January, the insurgents overran a Kenyan base in Somalia, killing at least 180 troops, the Somali government said. In February, an al-Shabaab suicide bomber tried and failed to down a plane departing Mogadishu’s airport—the first such attack by the group. In war-torn Mogadishu, the group has maintained a steady stream of attacks on government and civilian facilities. To counter Islamic State’s propaganda, al-Shabaab has also sought to upscale its information warfare, releasing a recruitment video about racial injustice in the U.S. featuring Republican presidential candidate Donald Trump. Hassan Mayoo Hussein, a former al-Shabaab fighter interviewed at Dadaab camp, said Islamic State’s arrival made al-Shabaab’s leadership increasingly ruthless. Fighters were incentivized to entrap comrades who had talked to Islamic State. “I stayed a long time with al-Shabaab and al-Shabaab is not good.…Daesh could be better,” he said.